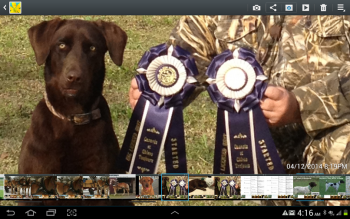 Delta Duck Kennels, located in Mount Hermon, Louisiana, has been raising Labrador Retrievers and Gsp's for 10 years. Our first litters in 2007, have top bloodlines from USA and UK. My puppies call home to 9 different states from living room to the duck blind, to champions in AKC & UKC hunt test. I have puppies from the best bloodlines in the world. Each dog was raised from a puppy; I do not just mate two dogs to have puppies, I mate to have OUTSTANDING puppies. It's not about the money because I put it all back into the dogs, it's the LOVE for the dogs,that is why I do this.